We believe full-blown consultation is always necessary for everything. But how do we do it in a way that enables places to speak? How do we insure we’re only hearing from the right voices, people who are actually from the area? After all, shouts and demands are too often heard from the wrong side of the wall outside our neighbourhoods, diminishing the rightful voices of those within, We’ve kept those people out for a reason! diminishing all that we love about our neighbourhoods. Castle Community consultation should only involve those people who actually live within the walls community, and we mean own property really live there. Furthermore, only long-time residents should be consulted, by which we mean dynastic residents who can speak for their enduring ties of place. How long is required to get place in your blood? Seven or eight generations should suffice. That’s why we advocate requiring a blood test for all of those who participate in community consultation. Only those with a minimum of 10% place in their blood should get a voice. By this we mean to signal that both newcomers and prospective newcomers should know their places and not endeavor to speak for our places. They cannot speak for community. Most of them are only here at all because homes have been turned into commodities, for sale to the highest bidder! Can you imagine? One cannot auction a home! Think of the speculators and profiteers! The only homes that are really homes are those that have been passed down between generations, or perhaps provided to the servants established as non-market somewhere else without raising taxes with appropriate community consultation. If it’s not yours by birth or royal fiat, then it’s not really yours at all. For similar reasons we believe we’re also justified in limiting the language of consultation. If you and your lineage can’t be bothered to learn the local language here then you demonstrate insufficient ties to consult on the future of place. All consultation in Vancouver should henceforth take place only in English one of the two official languages of Squamish or Halkomelem. 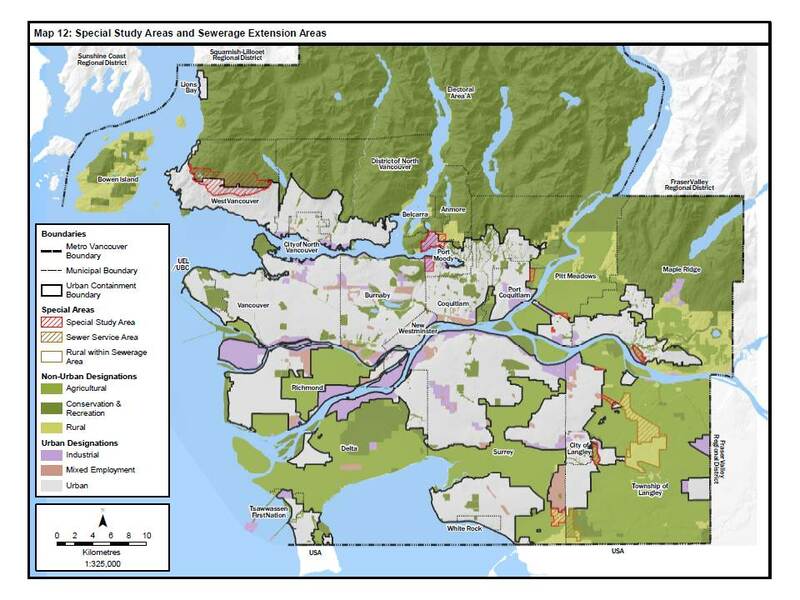 Last post I talked about how Vancouver’s election provided possible insights into the relationship between Urbanism (or IMBY-ism) as a political axis running perpendicular to more traditional Left-Right axes. Now we have results! But first: a clarification. Initially I drew from the Cambie Report‘s clever crowd-sourcing of placements for political parties and prominent independents in Vancouver along both a municipal urbanism axis and social and economic left-right axes (ultimately combined), as follows. Positions were allocated (and defined) by the wisdom of crowds. Not surprisingly, I received some pushback for accepting this wisdom – not everyone agrees with crowds! And that’s fair. Many policy positions and histories, especially within my area of housing, were actually more nuanced. 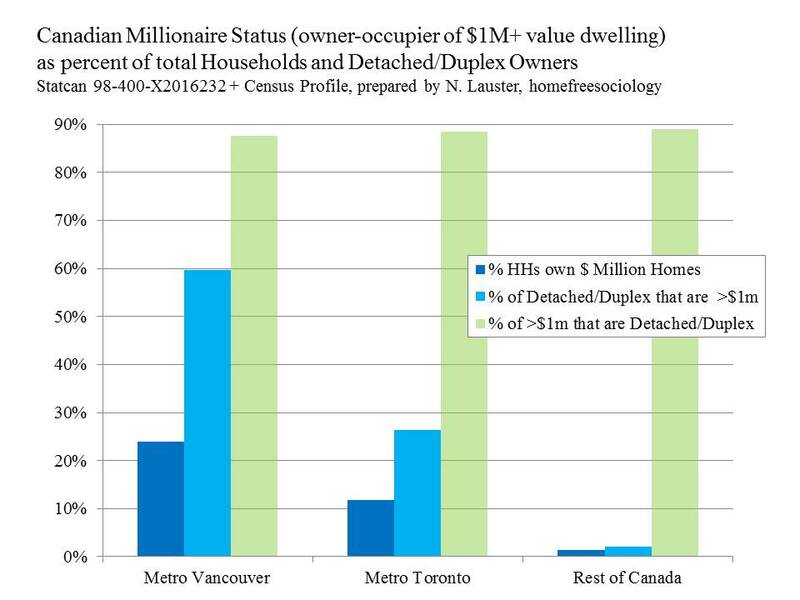 Here I’ll provide a – still very rough – breakdown of how I see the axes providing important information about different positions and histories, which may be of use both for interpreting Vancouver and thinking through IMBY coalitions more broadly. Starting with the Urbanist Right in the upper-right quadrant, we have a relatively familiar market urbanism: anti-zoning and libertarian inspired. Pro-housing everywhere “the market” wants it. Market urbanists tend to extol the virtues of density and disruption. YIMBY everywhere. Moving clockwise, below we have the Preservationist Right. To add a bit of nuance, this is a position that I’ve argued actually much better characterizes the North American tradition: Rigid zoning for exclusive single-family neighbourhoods and more flexible market allocation of housing within a constrained urban core. Right leaning municipal coalitions offer a grand bargain between middle-class detached homeowners’ relatively conservative desires to be left alone and developers’ interests in making money downtown. The mantra goes something like: “Strong protections for me and the market for thee.” Or NIMBY in the Great House Reserve, YIMBY in the Urban Core. Continuing around the clock to the Preservationist Left, we move toward the left-leaning reaction against the North American tradition. Anti-poverty alliances frequently identify developers as villains. This makes sense insofar as many alliances have borne repeated witness to the displacement that can result from unleashing market development upon the marginalized neighbourhoods of the urban core. Anti-developer politics can seem like a progressive end in their own right and can sometimes also win over middle-class voters (think “All neighbourhoods matter”). For a farther left subset, the socialization of housing seems the best bet for protecting those marginalized by the market. Lots more social housing is in order – but often concentrated in and meant to preserve neighbourhoods viewed as under development pressure. The orientation runs from NIMBY everywhere to PHIMBY (Public Housing in My Back Yard). Moving up to the Urbanist Left, we find alliances that often view urban growth as good, both in terms of promoting diversity and in terms of reducing environmental impacts. Many accept that disruption is part of living in a city. But it shouldn’t be imposed unequally and policies should work to avoid displacement. Those I’ve also termed Inclusive Urbanists set their sights on returning exclusionary neighbourhoods to the urban fabric by reforming single-family zoning. They look to introduce social housing and diverse rental options to every neighbourhood. The tendency is YIMBY, but reform-oriented, with an egalitarian emphasis directed at diversifying single-family exclusionary hoods and large helpings of PHIMBY. Ok, now let’s get back to what happened in Vancouver, where we had parties occupying each of these quadrants. Who won? And what does it tell us about IMBY-coalitions? The mayoral race ended up a showdown between two strong Urbanist Left candidates (Kennedy Stewart and Shauna Sylvester) and the strongest of the Preservationist Right (Ken Sim from the NPA – historically the epitome of the grand bargain party: NIMBY for detached home-owners, YIMBY in the urban core). Stewart beat Sim by less than a thousand votes (half a percentage point) in a real squeaker of a race. Broadly speaking, both the Urbanist Left and the Preservationist Right fielded strong candidates. But what happened to the Urbanist Right and the Preservationist Left? The Urbanist Right candidate was clearly Hector Bremner, and at 5.7% of the vote, his Yes Vancouver party failed to attract much support beyond its passionate young base of market YIMBYs. The Preservationist Left initially had a party-supported candidate in COPE’s Patrick Condon (who early on made clear he wouldn’t run if the Green Party’s Adriane Carr had decided to try for the mayorship). But Condon dropped out after experiencing a stroke. Late in the race he endorsed independent candidate Sean Cassidy, who failed to attract much other support. Even adding in support for the fringe candidacy of IDEA Vancouver’s Connie Fogal (widow of progressive hero Harry Rankin), the Preservationist Left failed to crack 2% in the mayoral race. So can we collapse the field, calling YIMBYism a left-wing phenomenon and NIMBYism mostly driven by more conservative impulses? Not quite so fast… let’s turn to Council! Here I note the average % of total council votes accorded to candidates in each party, highlighting the parties that actually won council seats (no independents won seats, despite overall respectable showings). I also provide the range of averages for major parties in each quadrant. While the mayor’s race seemed to reduce relatively neatly to a singularly important Urbanist Left – Preservationist Right axis, the council race sees a real and strong split between the Preservationist Left (COPE and the Greens) and the Urbanist Left (OneCity and Vision), with the Preservationist Centre-Left ultimately receiving the most support. Indeed, the new council will be made up of five members from the Preservationist Right (NPA), four members from the Preservationist Centre-Left (three Greens and one COPE), and one member from the Urbanist Left (OneCity). So what does this all this tell us about IMBY coalitions? First: it’s important to distinguish those BYs: the backyards of Single-Family House neighbourhoods are treated differently from the backyards of the Urban Core. Second: Right-leaning coalitions tend to do well in cities only when they leave the back yards of Single-Family House neighbourhoods alone. So far there’s little evidence that a right-leaning YIMBY coalition can win, though this could change in the future, as single-family neighbourhoods continue to lose population. Third: Most YIMBYs lean left by quite a large margin, and left-leaning YIMBY coalitions can win. A Lefty Urbanist won the mayoral race in 2018, despite the competition from an exceptionally strong contender in the same quadrant. Moreover, Vision Vancouver’s coalition held power for the last ten years until their organizational implosion in 2018, and still placed well ahead of most other parties even if they won no seats. Fourth: There’s a real and consequential split between Lefty Urbanists and Lefty Preservationists. I think this is often about perspective. From the point of view of anti-poverty activists working in the urban core, developers almost always look like villains (non-profit developers MAY be exceptions). From the point of view of people feeling excluded from cities’ vast tracts of single-family neighbourhoods, developers look like potential allies. On the flip side, the path to political success often runs through middle-class homeowners, and it’s easier to get them on your side by promising it won’t inconvenience them much than by suggesting they might need to sacrifice some parking or sunlight on their gardens. Vancouver’s Green Party, in particular, has walked this line to great success. Theoretically, this election should put to rest the notion that all or even most YIMBYs are mostly market-oriented. After all, if they were they would’ve come out in mass for Yes Vancouver. Instead YIMBYs seemed to support Urbanist Left candidates in numbers easily surpassing support for the Urbanist Right. But to be fair, this was also a really messy election, witnessing the organizational implosion of the reigning party (Vision) and a confusing profusion of new parties. This likely benefitted those older organizations that managed to avoid imploding (Greens, COPE, and above all the NPA, who recovered strong from a shaky start), above and beyond informed platform comparisons. Final Question: Can those Urbanist Leftys who made it into office this year work with their Preservationist Left or Preservationist Right colleagues? I’m guessing efforts to Make Room in single-family neighbourhoods are going to slow down again after Vision’s successful last-minute drive to introduce duplexes (with suites! ), opening up all nearly all lots to four potential dwelling units (2x owned, 2x rented) across the City. Given housing plans put forward by the NPA and Greens, maybe we’ll eventually get matching legalization of an additional main unit rental suite (1x owned, 2x rented, 1x laneway rented), legalizing what’s already happening on the ground in many places. It’s less clear what will happen in the urban core, where alliances may shift project by project (remember, NPA councillors look pretty market YIMBY outside of single-family zones). Addendum: (preliminary) vote tallies from the City of Vancouver obtained here! Looking forward to the voting location breakdown we got from the 2014 election. Vancouver’s heading into an exciting municipal election! Yes, yes, it’s exciting in all the normal ways elections are exciting: rah, rah, I really want my team to win! Strategy, strategy, wonder what messaging will work? Etc. (I’m a bit of a political junkie). The election is very exciting because there’s someone in every corner! Assuming everyone shares these perceptions of the parties and they’ve been able to get their message out, we get a real test of how urbanist welcome (YIMBY) coalitions line up with more traditional left/right divides in terms of voting strength. Do most (voting) free-market fiscal conservatives vote YIMBY? We’ll be able to compare the Yes Vancouver! vote relative to the NPA/Pro Vancouver/Coalition Vancouver vote to find out. Are most NIMBY voters progressive-leaning or conservative-leaning (or somewhere in the middle)? We can look to compare COPE to the N/P/C vote to the Greens. Do left-leaning YIMBYs outnumber left-leaning preservationists? Compare OneCity & Vision turnout to COPE/Greens. And just who makes up YIMBY coalitions anyway? This, I think, is perhaps the most interesting question, primarily because debates sometimes frame YIMBYs as anti-regulation free-marketeers, when in fact there appears to be a rather large group of re-regulation socialist-friendly YIMBYs out there. This election should provide some insight into just how large these different facets of YIMBY coalitions might be by comparing OneCity & Vision votes to Yes Vancouver votes. Fun! In order to form their slate, the VDLC had to choose between the two mayoral candidacies of Sylvester and Stewart (setting aside left-leaning alternates like Campbell and Condon, who’ve now dropped out). They chose Stewart, previously an NDP parliamentary politician representing nearby Burnaby. You can scroll through their fancy collector cards (cute gimmick!) on twitter. In addition to the more organized efforts of parties and labour organizations, it’s worth noting that this year’s election is just a bonanza of independent candidates. Aside from Stewart and Sylvester, the two serious independent mayoral candidates, there’s just a ton of independent council candidates. I can’t fit them all on here, but just to demonstrate a couple of candidates (and a party) missed by the Cambie Report survey, I’ll estimate positions from following folks on twitter as below. So… where do I fall? Relying heavily on my read of Iris Marion Young’s* brilliant Justice and the Politics of Difference, and in particular, her understanding of the City as an Ideal for Justice, I very clearly fall into what I’d call the “inclusive urbanism” camp, exemplified by OneCity (note: it’s possible I have a sign supporting OneCity out on my balcony right now). I swoon over their campaign slogan of Every Neighbourhood for Everyone. And what do you know, when you add in independents, there’s enough other candidates in that quadrant to fill out a whole ballot! This includes the reigning Vision party, who in my view does not get enough credit for tacking against the broader North American winds to move Vancouver in a more inclusive and urbanist direction. That’s not to say there aren’t lots of other good ideas floating around out there in urbanist camps (hi Yes Vancouver! ), and good energy in other left-leaning parties (COPE gets full credit for making politics built around fighting class inequities look like fun!) Speaking of fun, I’m gonna do an animated gif thing to round things off. Here you go. *- Worth noting: Iris Marion Young practically takes an anarchist stance on zoning: that it challenges the urban diversity she dearly wants to foster. As I discuss in my book, I’d rather reform zoning than abolish it, but overall she’s not wrong. She also thinks all planning should be done at a regional level (kinda like Metro Vancouver!). Why is acquiring a single-family house so important to so many people? 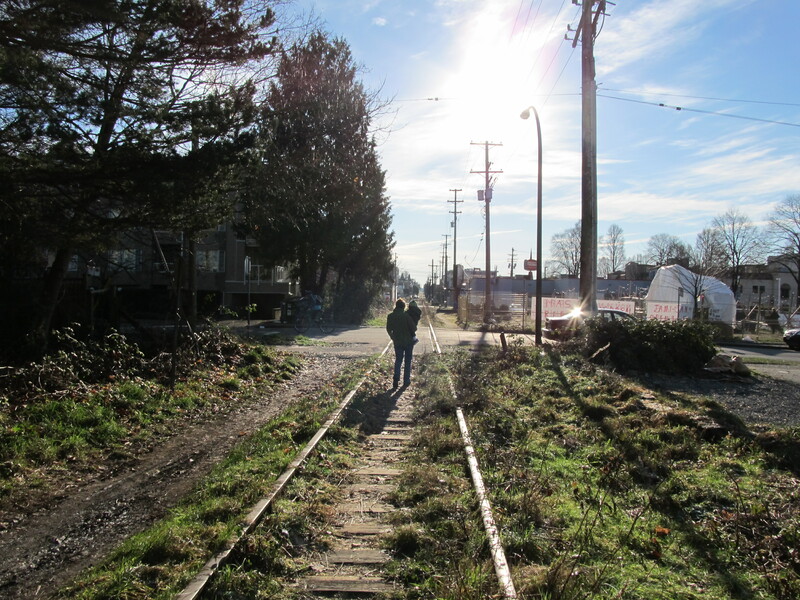 What lessons, if any, does Vancouver hold for other metro areas? Full listing and a registration sign-up here! Turning to November, on Monday, November 19th, from 10.30-12pm, I’ll be speaking as part of the PHRN panels held within the annual Housing Central meetings at Vancouver’s Sheraton Wall Centre. I’ll be veering into my observations on evolving IMBY political coalitions and their role in inclusive housing provision. Abstract: NIMBY (Not In My Backyard) movements have been a longstanding concern for all housing developers, but especially those engaged in non-profit and low-income housing construction. Frequently NIMBY movements dominate and mobilize neighbourhood associations against developments that might “change the character” of “their” neighbourhoods. Recently a variety of YIMBY (Yes in My Backyard) movements have been organized to support developments in response to a variety of concerns, including the exclusionary aspects of NIMBYism and its failure to represent the diversity and interests of both local neighbourhoods and cities as a whole. Other IMBY movements, like PHIMBY (Public Housing In My Backyard) or QIMBY (Quality in My Backyard), shift between more general NIMBY and YIMBY coalitions depending upon what’s being built or proposed. In this paper, I provide a brief tour of the IMBY zoo and also attempt to decipher how rights claims and concerns for social inclusion get built into or left out of different kinds of coalitions. Where possible, I draw upon examples to illustrate claims and coalition-building dynamics both in BC and abroad. Almost immediately after the PHRN panels, I’ll be going to the National Housing Conference in Ottawa for a panel on Nov 22, 11.15-12.30pm on building an affordable future for rental housing. I’ll be presenting on an ongoing research project I’m working on with Jens von Bergmann (mountainmath) and Douglas Harris (UBC Law), attempting to get a better sense of Who Lives in Condos? Submission Title: Who Lives in Condos? Summary: Theoretically, condominium developments offer a relatively new and exceptionally flexible form of housing stock. By legal innovation and subdivision of land costs, they enable a broader range of people to enter home ownership. This makes condominiums competitive with purpose-built rental buildings in high land-value areas, but when rented out by investor-landlords condominiums can also contribute to rental markets. Yet the flexibility of condominium housing stock comes at the cost of making the rights associated with both ownership and rental tenures more precarious. Moreover, condominiums are often vilified in debates over development. In the urban imaginary, new condominium developments are often assumed to bring only gentrifiers, fail to meet the needs of families, or go empty, serving merely as safety-deposit boxes in the sky. It’s useful to establish who lives in condominiums, both in terms of understanding who’s at risk of condominium-induced forms of precarity and how condominiums respond to housing needs more broadly. In this paper, we explore the socio-legal flexibility of condominiums and draw upon a mix of Canadian census data and administrative data to investigate how who lives in them has varied through time and across different Canadian cities. Where possible, we provide comparisons with other forms of development (e.g., freehold, purpose-built rental), holding other features constant (e.g., age, structure, location, number of bedrooms), to evaluate how condominium residents differ from others. Should be fun! I’d love to connect with folks interested in my research at any and all upcoming events – or just drop me a line!